Google has come to an agreement with authors and publishers to make millions of books available online – with all lawsuits brought to an end and an £80million payout made. 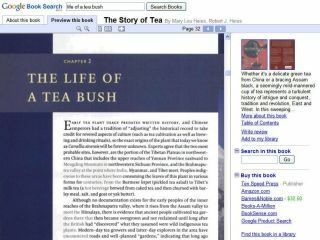 The search giant has been in negotiations for two years with publishers over its Google Book Search tool – with several lawsuits filed against the company. However, the landmark deal will now allow Google to push on with its project of making the world's greatest literature another part of the internet's rich tapestry. The deal – which currently applies to the US – will mean that copyrighted material can be searched for by words and phrases with results displayed as snippets rather than as the entire text of the book. Rights holders will retain control over pricing of any sales and access to the books, with rights holders across the globe now able to register their works with a Google funded Books Rights Registry, and receive compensation from any revenues generated by adverts, book sales "and other possible revenue models". "It is hard work writing a book and even harder work getting paid for it," Roy Blount Jr, the President of the Authors Guild, told The Guardian. "As an author, well, we appreciate payment when people use our work. This makes good sense." Google's co-founder Sergey Brin has described the deal as a 'great leap' in the battle to 'organise the world's information'.